Chardrayaan-1 is the first Indian Mission to the Moon by the Indian Space Research Organization (ISRO) devoted to high-resolution remote sensing of the lunar surface features in visible, near infrared, X-ray and low energy gamma ray regions. 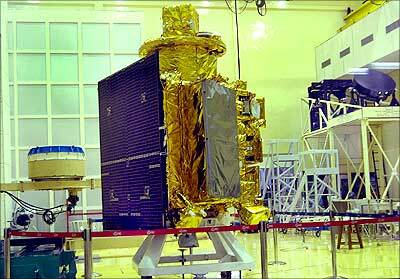 Chandrayaan mission is seen as major step in acknowledging India’s existence in space. Carry out high resolution mapping of topographic features in 3D, distribution of various minerals and elemental chemical species including radioactive nuclides covering the entire lunar surface using a set of remote sensing payloads. The new set of data would help in unravelling mysteries about the origin and evolution of solar system in general and that of the moon in particular. Realize the mission goal of harnessing the science payloads, lunar craft and the launch vehicle with suitable ground support system including DSN station, integration and testing, launching and achieving lunar orbit of ~100 km, in-orbit operation of experiments, communication/telecommand, telemetry data reception, quick look data and archival for scientific utilization by identified group of scientists. It’s Proud moment for every indian . This mission not only put india on global space map but also Gives confidence of being safe . This will enhance new technological development of country. this is our first unmanned mission to moon. today its unmanned ……….next time it would b manned. 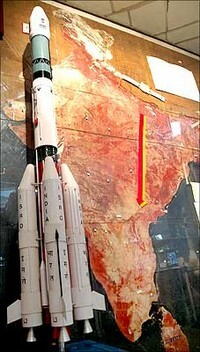 THAT WILL CARVE INDIA NAME ON THE LIST OF GLOBAL SPACE EXPLORATION. warm congrates to my indian scientists and every one who participated in this successfull mission to moon.IT WOULD DEFINITELY EXPAND SCIENTIFIC KNOWLEDGE ABOT MOON. IT INSPIRES EVERY INDIAN SCIENTISTS OF YOUNGER GENERATION. BETTER LUCK FOR , IF WE NOT THEN WHO??? im exited a lot it a marvolous season just feeling like im hear proud to be an citigen of India.wer the best.im hope everything goes well. It is the first gift in the mane of my Gralfrend.We want our honeymoon make at original MOON. Congratulations to all Indian Scientists who have done the wonderful job. I am proud to be Indian. I am eagerly waiting to hear the news about the moon. I am very proud as an indian.In future india thought & other countries will think for everything. it is an excellent performance by indianscientists.they proved that indias can do anything. iam proud to be an indian for getting asuch a great sucess. Next post: Example – What is Short Selling ?